My wife made a wonderful find at a used book store -- the centennial reprint of Walter Rauschenbusch’s seminal manifesto, aptly retitled Christianity And the Social Crisis in the 21st Century: The Classic that Woke up the Church (New York: Harper One, 2007). The original text is interspersed with commentary from several famous contemporary thinkers in the fields of religion and ethics. The book is edited by great-grandson Paul Raushenbush, religion editor with the Huff Post and former Associate Dean of Religious Life at Princeton University. 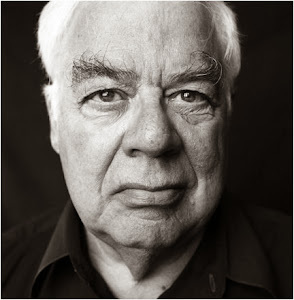 (For some reason, his version of the family name drops the two Cs) The afterword was penned by another descendant of W.R., the late philosopher and avowed secular humanist Richard Rorty (pp. 347-350). Rorty was Walter Rauschenbusch’s grandson, and his comments bespeak the challenging yet ambiguous prospects in our day of his ancestor’s Christian social vision. I mentioned previously that I had read this book and found some of its material interesting enough to share with you, gentle readers. This will be the final installment. This is a portion of Kittleson’s discussion of Katharina von Bora, otherwise known as “Katie Luther” (the title of Kittelson’s section), Luther’s ex-nun frau. I always find insight into the personal life of important figures to be very interesting, and Kittelson provides a very engaging discussion. Be sure to go look up the whole thing. The below gives you a taste for the humor involved in the Luthers’ relationship, as well as for how Luther could act a bit petulant vis-à-vis his better half. James M. Kittelson, Luther the Reformer: The Story of the Man and His Career (Fortress, 2003), 282. Rage, ability, and the importance of the issues at hand—these things kept Luther productive to the very end. Yet without the person of his wife Katie, the mature Luther would be incomprehensible. Time for another installment of what I just know is your most favorite series, gentle reader. The second chapter of the book dealt with Barth’s rejection of what I call the sacramental argument in favor of infant baptism. This, the third chapter, deals with his rejection of what I call the covenantal argument for infant baptism. Barth’s doctrine of election plays a key role in each chapter. The following paragraph comes from the hinge section in chapter three as it moves from an explication of Francis Turretin to one of Barth. W. Travis McMaken, The Sign of the Gospel: Toward an Evangelical Doctrine of Infant Baptism after Karl Barth, Emerging Scholars (Fortress, 2013), 112–13. Time for another one of these. And if this isn’t enough reading material for you, go ahead and check out the last link post. It has been a while since then. In any case, enjoy these while I prance around in fancy colorful robes in order to give newer and older alumni a favorable impression of the weight of tradition and the majesty of scholarship. 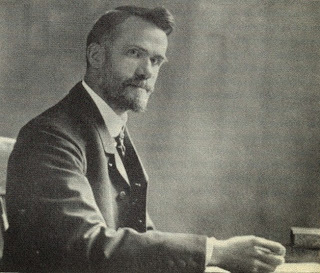 Someone on the internet – I don’t remember whom it was or on what platform – suggested that I read James M. Kittelson’s book, Luther the Reformer: The Story of the Man and His Career. As someone who teaches a “Reformation” class every other year or so, it never hurts to read in the area. I’ve been meaning for some time to get to know Luther a little better, and so I took this recommendation and read the book. Kittelson’s book was a nice read, and very accessible. It could be read profitably by undergraduate students or someone with an undergraduate degree. And Kittelson does a good job of weaving together biographical narrative and theological explanation. I found a number of his passages especially interesting and informative. The first that I want to share with you is below, and it deals with the relevant faculty at Wittenberg in the early reformational period. James M. Kittelson, Luther the Reformer: The Story of the Man and His Career (Fortress, 2003), 184–6. Bold is mine. One of the things about van Buren that I really like is that he sees interesting things in biblical texts that I miss. He gets this instinct from his teacher in Basel, of course, and it constitutes something of a family resemblance. In any case, one instance where PMvB caught my attention for insightfully reading the biblical text was his discussion of Ezekiel 37.1–14. Van Buren reads this as an ecclesiological passage, that is, a passage that illustrates the basic dynamic involved in the church’s life. So I thought that I would share his reading. Paul M. van Buren, The Austin Dogmatics: 1957–1958, (Cascade, 2012), 34–35. Over the next month or so I want get back into blogging on DET by working through and reflecting on a couple texts that appear to be important for what I want to do in my dissertation. One of the books I will be taking the DET audience through is Dr. Kenneth Reynhout's book Interdisciplinary Interpretation: Paul Ricoeur and the Hermeneutics of Theology and Science. I have a real interest in the work of Paul Ricoeur, and since my dissertation will likely be interdisciplinary in nature, this seems like a great book for me to blog. In this first post I want to briefly cover the book's introduction (ix-xviii). "Life as a witness to the overflowing glory of God is eternal life." While beginning to research the Social Gospel Movement (SGM) recently, I ran across this very helpful overview and critique by Dorrien that ran in Tikkun several years ago. I want to use it as a background and an entree into my look at Rauschenbusch's doctrine of social sin in a series of posts. Peter Leithart recently published a short review of my book, The Sign of the Gospel, over at his corner of the First Things website. I am, of course, grateful for the publicity and am happy to have my book read by any and all interested parties. The more the merrier! Some folks have contacted me to ask what I think of Leithart’s review, and the criticisms he makes of Barth’s (and, consequently, my) understanding of grace with reference to baptism. I was initially very reluctant to respond, but I have come to the considered opinion that some disambiguation will be salutary in this instance. A couple weeks ago (April 3-4) Wheaton had a theology conference titled The Spirit of God: Christian Renewal in the Community of Faith. It was my first time at Wheaton, and I enjoyed seeing the blog boss' alma mater. Also, I got to meet Travis' "co-conspirator" David Congdon, and though the conversation was brief it was great, and it was great to meet him. My main reason for going was to meet Michael Welker, who presented near the end of the conference. I've been described as a "fan boy" of his work, so you probably aren't shocked to hear me say that he did a great job. It seems almost a certainty that he will be a major part of my dissertation, so meeting and having lunch with him was surreal and a thrill. I've written about Welker on the blog previously: here's a good place to start.